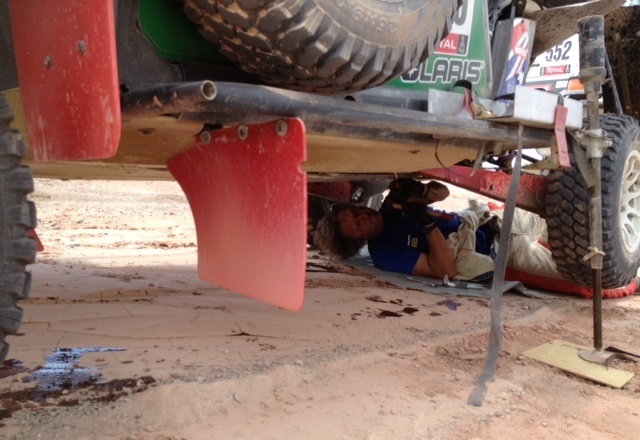 I’ve learned a lot about racing a car in Dakar. Many riders think the courses, so far, have been very difficult. But we feel the driving has been okay. Sure, very long days but not too tough. And the navigation worked perfectly. 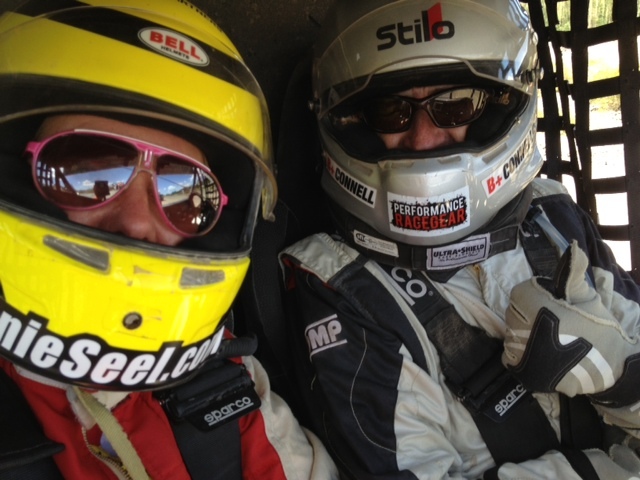 Garry didn’t have any problems at all driving – he used his head, chose the best tracks, no stucking in sand. He really has the capacity needed to finish Dakar. Garry: “This is what stopped us, a chaffed $50 external oil feed line to the oil cooler !!!! Our white team truck #552 with Marco helping out on stage 4. Checking everything from top … … to bottom. There are other severe conditions during this race, causing problems. The weather has been extremly hot, around 40 C. Several contestants have suffered from heat exhaustion and dehydration. Some accidents probably are the consequenses. Even deaths have hit competitors, journalists and spectators lately. A top biker #5 Chaleco Lopez fell from an edge in a river bed, the bike crashed, thus out of race. Luckily no bad bodily injuries. He was my Honda team mate in Patagonia rally 2005. 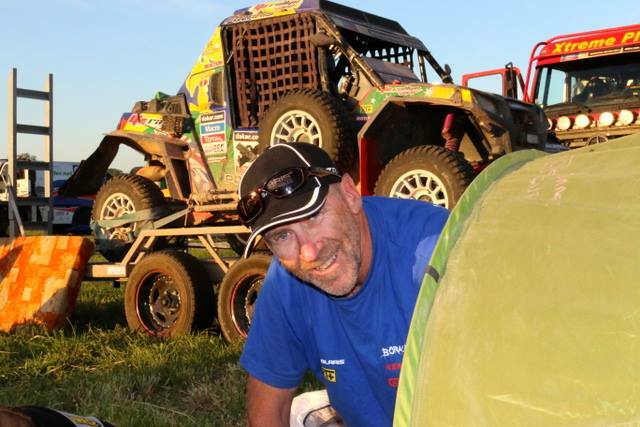 This entry was posted in Dakar and tagged Annie Seel, buggy, garry connell, hardships, withdrawal, xtremeplus. 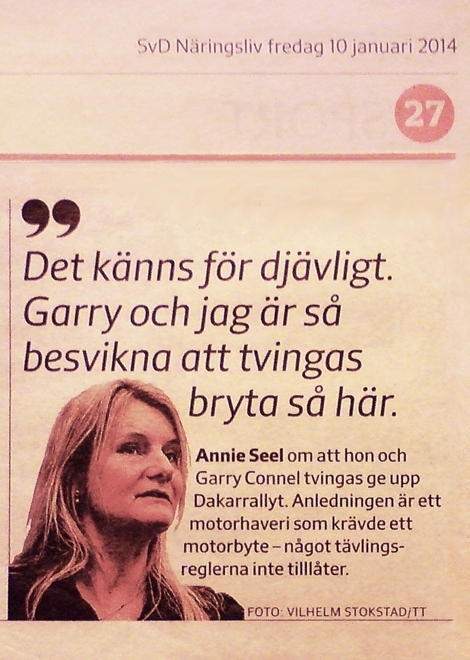 “Punctures have been a common problem for many competitiors this year, also för Annie. But what brought her and Garry down was a leaking oil hose. 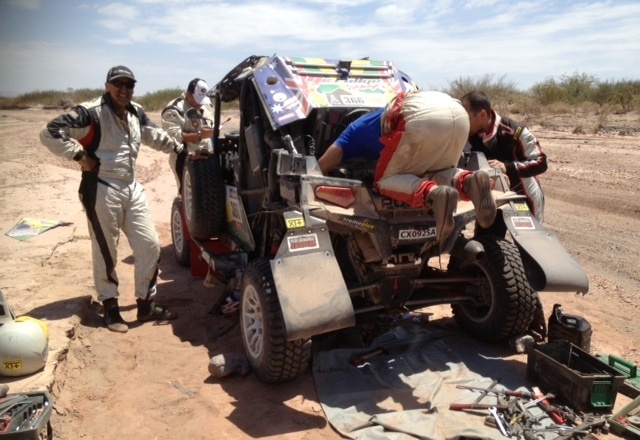 It caused a major damage in the engine and the mechanics had not enough time to fix it before next start. It is not allowed to change the engine in cars like in bikes. 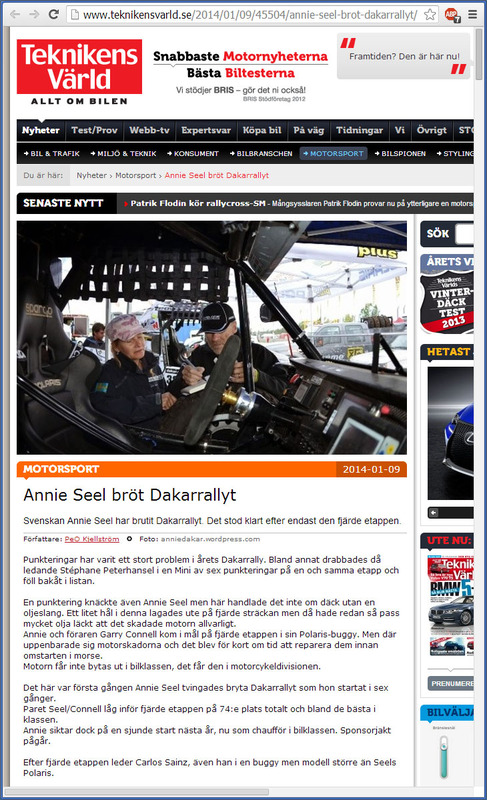 This entry was posted in Dakar and tagged Annie Seel, dakar2014, press, video, withdrawal. The mechanics were still working this morning to repair the car. But we ran out of time, the start control closed at 9:05. Sadly, we are now out of race. Garry and me are sobbing and having the “post mortem” talk. 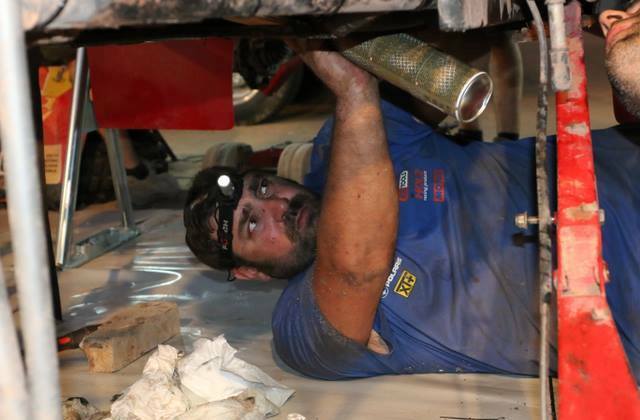 He is devastated, this was his go for a dakar finish, and we know that we could have made it when it was up to our ability and race strategy. “The turtle” failed us as victim of the “fesh-fesh death”. So disappointing for both of us not to continue the race. Just because of a bloody little hole, that we fixed out there on the course. But later it caused the major engine breakdown. Our mechanics had a very busy night as also our team partner world champion Nico Duclos was towed in with a broken gearbox. The same problem hit Yasir Saedan earlier on this stage. Garry and me slept only 2 hours but were ready to take off on stage 5 at 7:30. 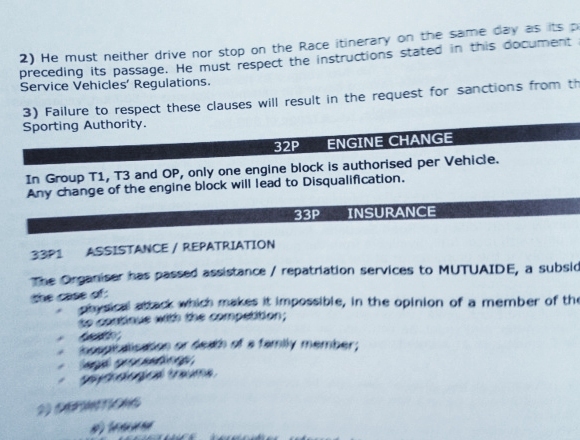 But the time was too short to make all repairs, it’s not allowed to change the whole engine like on bikes. We also had a coffee session with #320 Chicherit’s codriver Brucy – their car went up in flames completely. 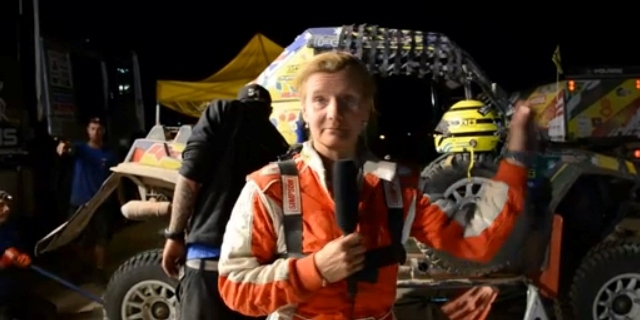 VIDEOs by Marie Hessel (images are screenshots). Bye bye “Turtle buggy”! #366 crossed out. And we are as cross as two sticks. 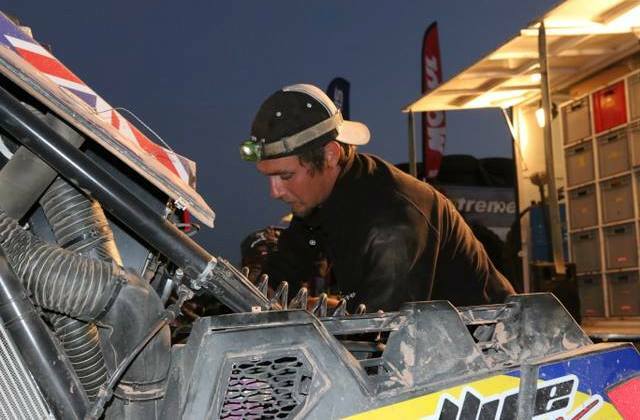 This entry was posted in Dakar and tagged 2014, Annie, Dakar, engine problem, garry, mishaps, technical problem, video, withdrawal.